What a mess the US Government has got itself into over the Aaron Swartz affair. The heavy handedness that the US attorney’s office pursued the hacker, entrepreneur and Reddit co-founder has shades of the efforts to extradite Kim Dotcom to face copyright infringement, money laundering and racketeering charges in the US. 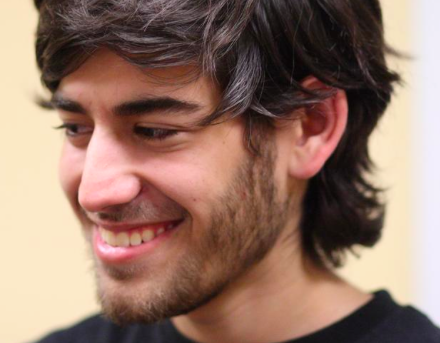 But this is a different deal altogether given the outcome – Aaron Swartz, 26, who had previously suffered depression, committed suicide in New York a week ago. He was facing a federal indictment in Boston for wire fraud, millions of dollars worth of fines and a possible sentence of 35 years in jail. What did he do? The indictment papers say Swartz broke into a wiring closet at Massachusetts Institute of Technology and gained access to the JSTOR database of academic articles, downloading millions of them which he allegedly planned to distribute for free on the internet. “The world’s entire scientific and cultural heritage, published over centuries in books and journals, is increasingly being digitized and locked up by a handful of private corporations. We need to take information, wherever it is stored, make our own copies and share it with the world. Many scientists would endorse his statements, even if they themselves wouldn’t go to the lengths he allegedly did to unlock the academic content for all to read freely. The irony of Swartz’s death is that more official efforts are underway around the world to achieve the exact end he had in mind. Many US institutions and the UK Government have demanded that research funded by the tax payer be made open access, freely available for all to read via the internet. In a decade’s time, Swartz’s manifesto will be official, Government-mandated practice for academia in most countries. Swartz, like Dotcom, was a disruptor. Also a hacker, he was part of the team that developed RSS – Really Simple Syndication, which is used by millions of websites, including Sciblogs, to effortlessly share and update information on the internet. He was 14 when he worked on RSS. With Reddit, his mantra of openness was again evident as the website set out to aggregate news sources from all over the world and rank them based on their popularity among the Reddit community. There will be a lot of soul-searching over this case. Were the prosecutors too heavy-handed in pushing for Swartz to spend time in prison. Did they indeed have a “humanity deficit” in brushing asides concerns about his mental health? What role did MIT play in all of this? After all, JSTOR had declined to press charges against Swartz, so the momentum for an indictment came from elsewhere. Looking at it cynically, you could say that it was simply in line with the US Government’s desire to send a message to those who attempt to unlawfully take intellectual property. The US has lost one of its great, young innovators. In all likelihood, the conviction would only have added to Swartz’s credibility and reputation, in the same way that Kim Dotcom’s early brushes with the law, helped build the mythos around him. but we can’t imagine what was going through his head as he faced the immense pressure of a federal indictment. All we can do is continue to discuss how we can make Swartz’s vision a reality, legally, ethically and for the benefit of those who pay for it – tax-paying members of society. My two cents the Law is at fault the persecution is unjustified for this breach of copyright. Murder it seems is a lesser punishment, than this copyright breach. Lovely piece Peter. My commitment to Aaron’s vision is to never put my publicly funded work behind a pay wall again and to talk to my colleagues about open access when ever possible. Just yesterday, a colleague sent me a pdf of a paper he had coauthored about ‘old age’ as a cause of death in relation to my recent post on NZ mortality data. I said thanks and that it was sad it was behind a pay wall as it would be great to link to it from my post. He didn’t understand what I meant. Amazing. We have a long way to go with the academic community, but it’s a destination we have to reach.